Today I am on my way to Orlando for Stampin' Up! leadership conference. I am excited to get to go. I went to Houston last year and this year its in Orlando. I get to defrost. Yesterday the temps here in Colorado Springs were in the high 60's. I got on my bike and met Barry for lunch. It was so wonderful to feel the sun on my face. Today I am sharing with you my gifts for the girls our group. Martha is our mama and we are all the chicks. I believe there are 14 of us going. So I have a token of my appreciation for them. I call it pillow gifts. 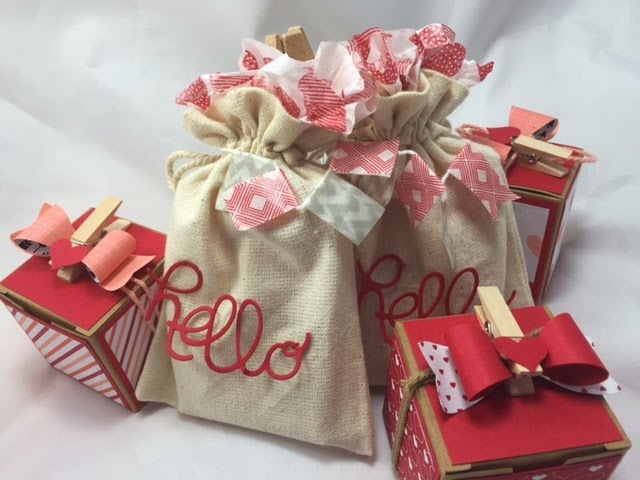 All the supplies are Stampin' Up! and can be ordered thru me. They are so darling. Inside the boxes and bags are Conversation hearts . 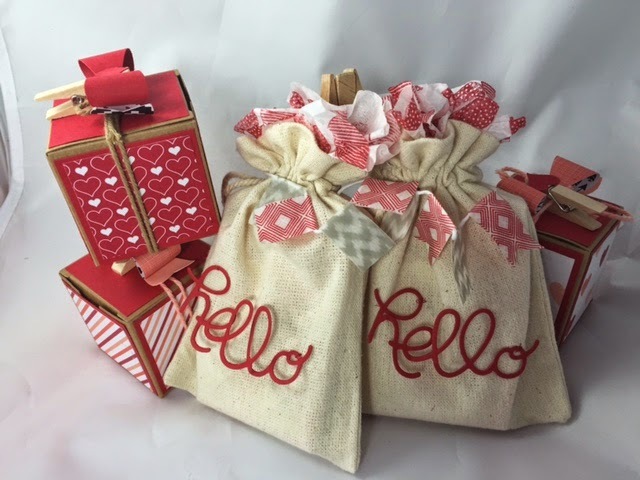 I hand sewed the hello on the bags. I love them and hope the girls like/love them too.